Rev Priyantha Wijegoonewardene is the 27th general secretary of the association that translates, publishes and distributes Bibles. He served the council of the Baptist Churches. Spreading the word of God to the ends of the earth is one of the latter’s objectives. Colombo (AsiaNews) - "All Christian denominations should join together in one family to glorify God Almighty," urges Rev Priyantha Wijegoonewardene, the new secretary general of the Ceylon Bible Society (CBS), to all the Churches of Sri Lanka. Speaking about the task that awaits him, he told AsiaNews that "I place my trust in God, who is always my strength and the light of my life. He will guide me on the right path. I will work to fulfil the wishes of the faithful for the glory of God." 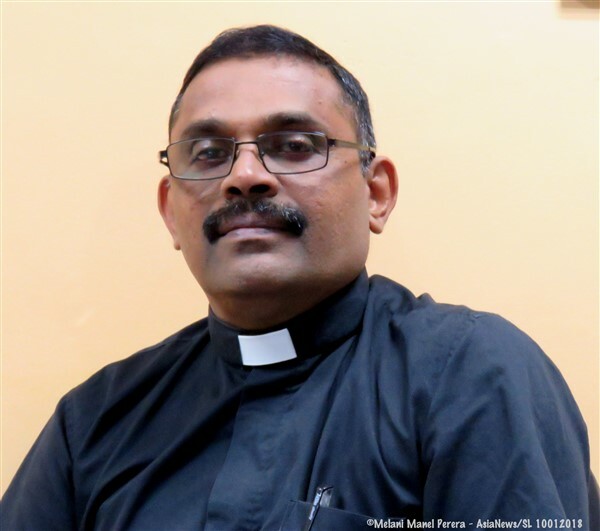 Rev Priyantha is the 27th secretary of one of Sri Lanka's oldest associations, which is responsible for translating, publishing and distributing the Bible across the island. He succeeds Lakshani Fernando, who led the CBS for 25 years. The appointment ceremony is set for tomorrow at the Cathedral of Christ the Saviour in Colombo. The new general secretary was appointed on 1 January 2018. After he was Sangamadhipathi (Sangama Master) in 2011, he served the Baptist churches in Matale, Ambagastenna, Beligodapitiya, and Makewita. He taught at the Theological College of Lanka at Pilimatalawa for five years. He was chaplain and chairman of the Board of Governors of Cary College and a member of numerous committees of the National Christian Council of Sri Lanka and the Ecumenical Institute of Study and Dialogue. He is the father of two children and married to Dr Owshadi Senaratna, a veterinary surgeon. "I thank the heavenly Father for choosing me as a pastor for his missionary work,” he said. “I never thought I could serve God this way. I shall obey his call and accept [this duty] from his holy hands." The reverend is certain that he will receive "all the support and help needed from my predecessor and the staff. I hope and believe in doing all that God expects from me according to his will. He will guide me on the journey by using me as an instrument of his great institution, which is working for the glory of God."